The phone call died in the fall of 2007. That was the first time in history that the number of average monthly texts sent on a mobile phone exceeded that of phone calls received. The ultimate purpose and the big idea behind the first phone was connectedness. A way to take a disparate people and literally and figuratively link them together through a network. Alexander Graham Bell’s spiritual descendant, Steve Jobs set out to do the same thing through Apple. To find a way to take people all over the world and connect them. Our ancestors, the Rabbis of old also had a literal and figurative way to link people together through a network, it was with an esoteric rabbinic innovation called an Eruv. And eruv is an enclosed Jewish area which turns the public space into personal space for a Jewish community. They imagined and then created a designated area in which members of a Jewish community would live, play, eat, learn and worship. Having people live in close physical proximity to one another would allow and ensure the creation of communities where human beings would socialize with one another, where they would share meals at each other’s tables, where they would go in and out of each other’s homes for a cup of coffee or a cup of sugar, an area in which human beings would be personally connected. Despite the fact that 90% of Baltimore’s 100,000 Jews live in 5 contiguous zip codes, the imagined “eruv” of the Jewish community is no longer the way that we live. Given that we no longer live close to one another geographically, and we no longer call one another on the phone. Given that we no longer wander in and out of each other’s homes freely and we are no longer personally connected to one another – What is it that connects us? Rosh Hashanah celebrates one thing – the birthday of the world. Most Jewish holidays celebrate multiple things: Passover celebrates the Exodus from Egypt, the beginning of spring and the beginning of peoplehood. Hanukkah celebrates the winter solstice, the military victory of the Maccabees, and the rabbinic miracle of the oil. Rosh Hashanah celebrates only one thing – the birthday of the world. When we say the birthday of the world however, we do not mean the birthday of the physical world, the birthday of creation. This in fact is the reason why we do not read the Bible’s story of creation to day. The birthday we celebrate today is the birthday of humanity, the common origins and the commonality of all human beings. To understand what this holiday is all about, look at the Biblical selections, they all have to do with the birth of children. In today’s Haftorah Hannah wants desperately to bring a child into the world, as do Sarah and Hagar. In today’s Torah reading Sarah and Abraham take part in the human story by creating common ancestors for almost 2 billion people in the world. Rosh Hashanah reminds us to celebrate the birthday of the world, not the land, but its humanity. To acknowledge that we are all the children of God. And that reminder has been so much a part of the social movements that have stirred our country this past year. #MeToo, Black Lives Matter, Family reunification, the LGBT movement, what has this year taught us if not that our world is broken because of an inability and unwillingness to recognize our shared humanity. The big idea of Rosh Hashanah is connectedness and that big idea is sorely needed in a world and now in a country that isolates us, that diminishes us, that dehumanizes us. We have been reduced to being just an online presence, to being just a provider of a service, to being just a sexual orientation, to being just a woman, or just an invisible older person. And when someone is reduced to being “only” then it is an easy and natural next step to dehumanize them to ignore their spark of Godliness, their tzelem elohim. We live thinking we’re so different from each other. We who live in the suburbs think we have such a unique perspective and we’re so different than those who live in cities. We Jews think we have some special status conveyed by our Jewishness, that we are so different from Protestants, or Catholics or Muslims. We Baltimoreans think there is something singular about our experience, that we are so different from New Yorkers, Los Angelinos, or Chicagoans. Thinking we are so different is the first, pivotal step in disconnecting from one another. And that type of disconnection cannot be fixed by any number of phone calls or text messages. People in my age range which is the 45-54 cohort send and receive on average 473-525 text messages a month. The average office worker sends and receives 160 emails a day. In many ways technology has connected us more than ever, but is it meaningful, substantive, intimate points of connection? Twenty one years ago I spent the year in Israel as part of studies in Rabbinical School. Electronic mail had been a thing for a year or two. This meant that I could be in regular touch with family and friends. 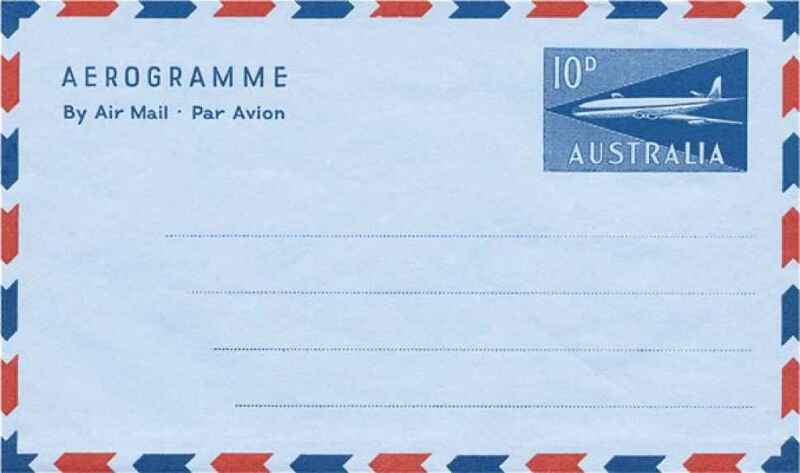 Only five years earlier while in Australia for an extended period we could only stay connected through those paper blue air mail letters and an occasional very expensive phone call. The infrequency of the connections required them to be weighty, all of the important matters you wanted to convey for weeks and months were saved up for precious few moments of connection. But with email during that year in Israel I could receive regular, even daily important communications like this one from my mother. “Dear Deb, Today I went to Shoprite. Kosher turkeys were 19 cents a pound. Love, Mom” Or even more recently this very touching string of texts from my child just last week, “Yes. Yes. ? Hey.” And these are people with whom I share DNA. Despite how connected we may actually be thanks to Steve Jobs and others, the reality is that the great majority of that connectedness is artificial. We are divided at home. We are divided at work. We are divided here at shul. We are divided in Israel and we are deeply and profoundly divided in the United States. That’s the bad news. So what’s the good news? The good news is that there is an antidote to this lack of connectedness and you are in the midst of it right at this moment in time, in space, and in action. In time, it is Rosh Hashanah, and on this one long day, we focus on our shared humanity in the hope that this one day will open us up to one another. That by seeing the person next to us, who is just as human as we are, we might better be able to overcome the many divides in our lives and in our world. This holiday celebrates that we are all God’s children. In space, we are here in the synagogue in the midst of our community. What an extraordinary gift to be here for another year in the sacred diversity of our community and with a new senior rabbi who also sees the gift in this. Here we see each other as human beings. Someone who is standing to say kaddish at the loss of a loved one. Someone who is relearning to speak after illness. Someone who relies on Chizuk Amuno to have a place for breakfast, to send a meal when their child is ill. In action, we are immersed in the practice of teshuvah of asking for repentance from those whom we have hurt. We do this not because it’s the right thing to do, though it is. Not because it’s good for our emotional well-being, though it is. Not because we need a chance to start over, though we do. We ask people for forgiveness because they are human beings. I have to say I’m sorry because you, the person whom I’ve wronged is a human being and I am required to honor your humanity. There is much that is broken in the world this year, perhaps nothing so much as our ability to see one another as human beings. We will say in just a few moments in the musaf Amidah, “Ha Yom Harat olam, ha yom yaamid ba mishpat kol yetzurei olamim.” Today the world is born, today all creatures stand in judgment. All creatures. Every single human being is united in this. Apple and Samsung and Verizon did a lot to remind us how connected we are to one another. But Rosh Hashanah may be the greatest tool we have in time, in space, and in deed of reminding us of our shared humanity, our shared connectedness and our responsibility to those in the next room and beyond. Almost ten years ago the story teller Joel ben Izzy visited Chizuk Amuno for a weekend. He taught, told stories, and read from his memoir of the time he lost his voice and found wisdom in stories with the help of his former teacher Lenny. Lenny was an alcoholic who had started drinking again. Joel went to Lenny’s house to check on him and found him lying down on the couch with a bottle next to him. Joel poured what was left in the bottle down the sink and as he went to leave Lenny implored Joel to tell him when the night would end. “That is the question asked of the rabbi by his disciple.” Lenny was referring to the very first discussion in the Talmud of when to recite the Shema. “Does it end when you can see the morning star?” asked one. “No said the rabbi, that is not the time.” “Is it when you can see all the lines on the palm of your hand?” asked another. “No that is still not the time.” Said the rabbi. “Then when” asked the disciples. “When you can look at your neighbor’s face and see that it is your own. Then at last, the long night is over.” (Joel ben Izzy, The Beggar King and the Secret of Happiness, p.142) My friends, our long night will be over when we too can look at the face of our neighbor and see our own humanity in it. Rabbi Wechsler has touched the lives of many members of our community through her intellect, warmth, compassion and commitment to the ideals of Conservative Judaism. As the first woman to serve as rabbi of Chizuk Amuno Congregation, her impact and accomplishments are demonstrated in our successful b’nei mitzvah, adult learning programs, gemilut hasadim efforts, and many learning and life cycle experiences. Her communal work includes service on the Executive Committee of the Baltimore Board of Rabbis, the Grant Review Committee for the Jacob and Hilda Blaustein Fund of The Associated, and the Teacher Certification group of the Center for Jewish Education. She has published sermons and opinion articles in The American Rabbi, The Orchard, and the New York Jewish Week. Debi received her rabbinic ordination, as well as an M.A., from the Jewish Theological Seminary of America in New York City where she also served on the Board of Overseers of the Rabbinical School.